Amazon Prime Day 2018 is in the books. We have gathered together all of the eye-popping statistics, including our own internal metrics here at xSellco, to bring you a comprehensive overview of the 36-hour sales bonanza. Now in its fourth year, the event got off to a difficult start. 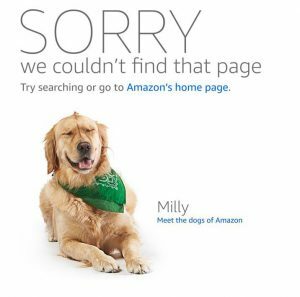 Internet watchdog downdetector.com reported that Amazon’s U.S. site crashed within minutes of its kickoff at 3 pm Eastern Time, likely due to the massive surge in traffic. Several news sites covered the blip and Bloomberg estimated that the 75 minutes of disrupted service may have cost Amazon $99 million in lost sales. An image that greeted consumers while Amazon.com was down. So, how did Amazon actually do? The retail giant is notoriously tight-lipped about exact figures but revealed that Prime Day 2018 beat Cyber Monday and Black Friday to become its biggest ever shopping day. 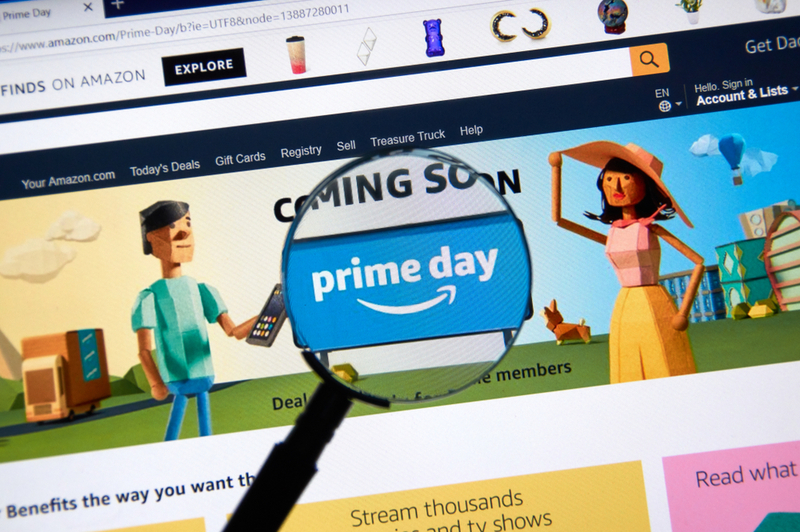 In fact, CNBC reported that sales for the first 10 hours were up 89 percent over the same period last year, smashing industry predictions of 67 percent, thanks to a larger number of Amazon Prime members (undeterred by the annual fee’s recent increase from $99 to $119), a longer sales window (up six hours from 2017) and four additional countries taking part (making it 17 in total). It’s difficult to find a consensus among analysts as to the actual amount Amazon made. Some are saying it will have been in the region of $4.2 billion, while others have low-balled it at $2 billion. Whatever about the massive profits, Prime Day’s primary purpose is to grow membership numbers (which CEO Jeff Bezos revealed back in April were over 100 million strong) and this year’s event was no different, with Amazon claiming that it welcomed more new members on July 16 than on any previous day. To that end, small and medium-sized businesses made out very well this year. Early estimates put their sales figures well in excess of $1 billion after the first 24 hours, up 28 percent from 2017. 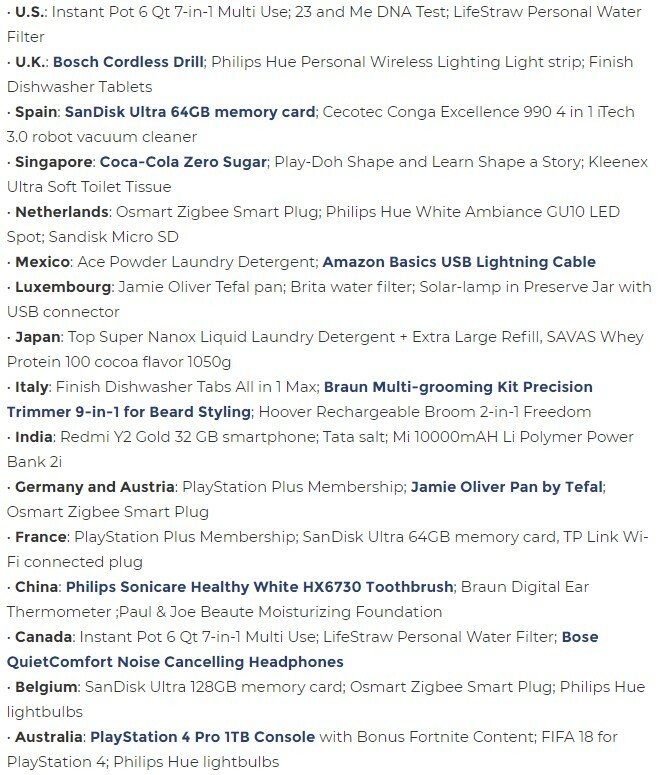 The top-selling non-Amazon products in each of the participating regions are listed below (originally reported here). The expansion into four new countries proved fruitful and it will be interesting to see where Amazon rolls out Prime membership in 2019. We can see that kitchenware was the big winner across North America, while there was a huge demand for gaming and other technology products elsewhere. The popularity of personal hygiene products and detergents also shows that consumers aren’t only interested in discounted luxury goods. It was certainly a successful 36 hours for xSellco’s clients, who took advantage of our Repricer to maximize their profit margins and win the Buy Box throughout the event. Unsurprisingly, the most lucrative hours were between 7 pm and 9 pm local time on both Amazon.com and Amazon.co.uk, with consumers clearly waiting until after work to do their shopping. In terms of support tickets, the most common questions customers had for our clients during Prime Day were in relation to shipping. Shoppers were obviously eager to know when their bargain would arrive. Using our Helpdesk, xSellco’s clients will have been able to answer these queries in a fraction of the time it might otherwise have taken. How did your business perform during Prime Day 2018? Did the early technical issues affect you? Let us know in the comments. Amazon uses Prime Day to grow its customer base. For professional sellers who do business on Amazon, the best way to increase your revenue is to consistently get your products in the Buy Box, where over 80 percent of sales happen. Gerard is the content marketing manager at xSellco. When he's not writing, he's reading. And when he's not reading, he's sleeping. In previous lives, he worked in the hospitality sector and in the world of Peer2Peer lending.